Team building events within a work environment can often be rather terrifying at first thought. Climbing up mountains and walking tight ropes or maze rooms springs to mind. One imagines being put into a team of people, ‘thrown’ together to problem solve, work together and aim to agree on certain strategies to complete a task set. That sounds too much like any other work day. 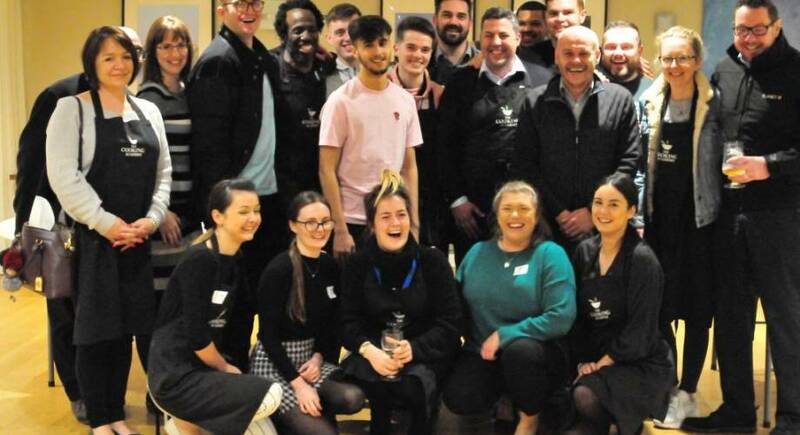 At The Cooking Academy, we offer a very different type of team-building activity, a cookery challenge in the form of a ‘Cook Off’ between colleagues – ‘Ready, Steady, Cook’ that is a cookery event that has a broad appeal to everyone, united by the need to eat, click here to find out what else we can offer. To be able to cook together and share the fruit of each other’s labour can create a deep connection between people. Whether you usually enjoy cooking or not, is completely irrelevant, as the pleasure of eating, after having shared tasks and objectives to prepare and cook the meal, creates a union of hearts and minds. By cooking and eating together in a non-office, social but professional environment, we foster a greater connection, increasing trust and enabling teamwork. No matter what the level of seniority, the activities become a leveler for all, from CEO and senior board level, right through to individual team members. As a company, we acknowledge the importance of the nutritional value of food and we believe our passion and expertise are what make our events unique and truly memorable for our clients. 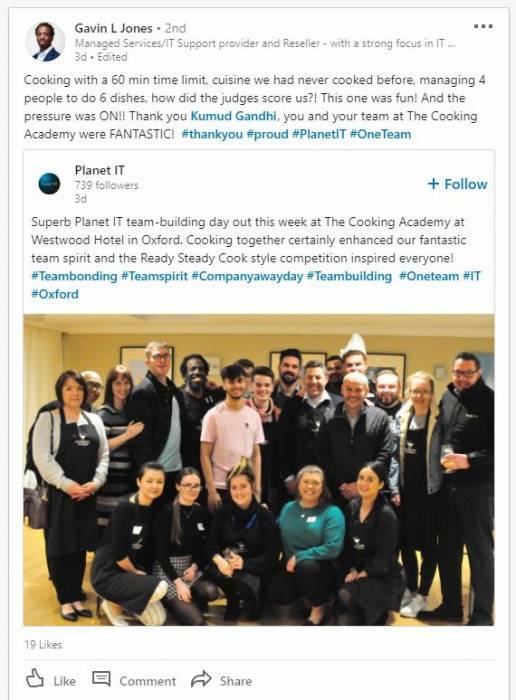 Planet IT sharing on LinkedIn about their Ready Steady Cook Team Building Event.